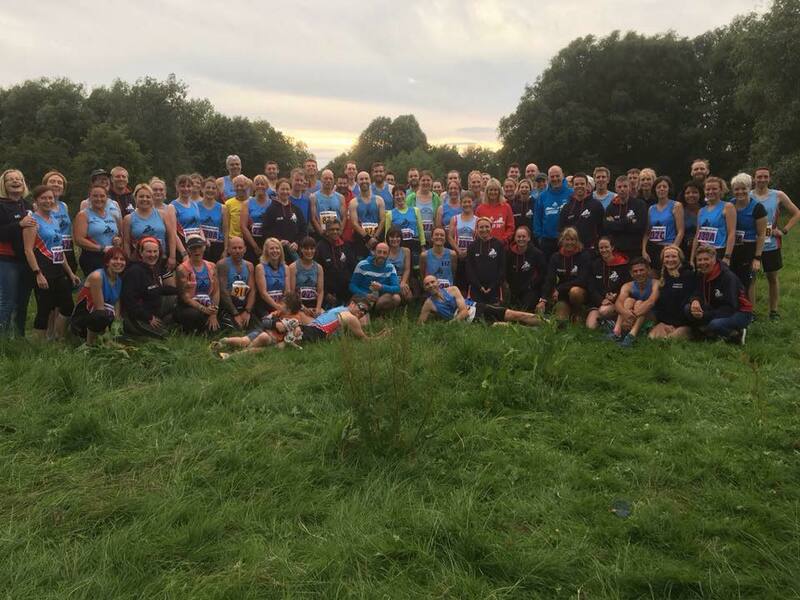 On Wednesday night a record 77 Ivanhoe runners took part in the relays at the washlands in Burton. A hugely popular and well supported event, each runner completes a 2 mile leg in teams of 3 for the ladies and 4 for men. There were fantastic efforts from all runners with some good, strong sprint finishes, and together with a large turnout this puts the club in a great position in the BDSL. The first men's team back for Ivanhoe were IR2 Craig Hinds, Shaun Coulton, Ramzi Sidani and newcomer Miles Winter, who flew round in a collective time of 47:16 and took 5th place overall. Second team for the club were Matt Pleass, Karl Wideman, Andrew Stanley and Adam Smyth with their time of 48:46. Third team were Louis Barnes, Simon Terry, Nick Rowles and James Cox with 50:52. Next team past the post were Matt Brocklehurst, Karl Smith, Mark Bradford and Kev Laz in 52:42 and 17th place. Team IR6 were led by Chris Finney, along with Ian Bolton, Chris Trzcinski and Chris Thurbon clocking 53:39. Team IR4 were Andy Jeyes, Andy Jones, James Cubbit and Patrick Horn, in a total time of 54:51, scoring exactly the same time as the next team IR8, with all the Richards - Bebbington, Hope, Martin and Trevelyan. Not far behind were Martin Rowse, Mukesh Deva, Matt Joyce and Matt Pleass running his second leg of the night in 55:10. Final men's team were Damon Bland, Pav Mazur, Bob Briers and Tim Moore with 59:44. There were 14 women's teams representing Ivanhoe at Washlands, led by 3 swift runs from Emily Wideman, Fiona Betts and Sophie Cooper in 42:12 and a superb 3rd place. In 6th place another strong team of Karen Bell, Andrea Trickett, and Julie Taylor ran to clock 44:42. Next team in were Suzy Beal-Parish, Sarah Terry and Lucy Allsop with a collective time of 47:55. In 17th and 18th Places were IR9 led by Christine Ridley, Marie Concannon and Sandra Lawless with 49:59, and team IR2 led by Karen Hartland, Gemma Shaw and Amy Derbyshire with 49:59. Ange Bebbington led the next ladies team home along with Jane Bland and Helen Finn (52:53), followed by Marie Miller, Janet Joyce and Victoria Smith in 53:07. 29th and 30th places went to Helen Brandon, Carolyn Osbourne and Niki Dent (55:36) and Heather Swan, Sally Jeyes and Sonia Hoult with 56:08. Grania Towle, Jenny Hope and Kim Harris scored a time of 57:27 while Fiona McKean, Kay Gosling and Laura Hope ran in 58:12. Michelle Moore led Sue Tait and Jessica Taylor-Southwart to 58:47. Kelly Finney along with newcomers Alison Morrison and Emily Heath clocked in at 1:00:56, ahead of Julie Henfrey, Sarah Malone and Sophie Turner in 1:01:47. Individually there were some strong performances over the 2 miles, notably Miles Winter, our fastest male runner on the night with 11:26, and Matt Pleass, who ran 2 legs in times of 11:32 and 11:50 earning him overall positions of both 17 and 24 overall and second and third fastest times for Ivanhoe. Fastest Female runner was the vastly improving Sophie Cooper in 13:51, closely followed by Emily Wideman in 13:54 and Karen Bell in 14:12. 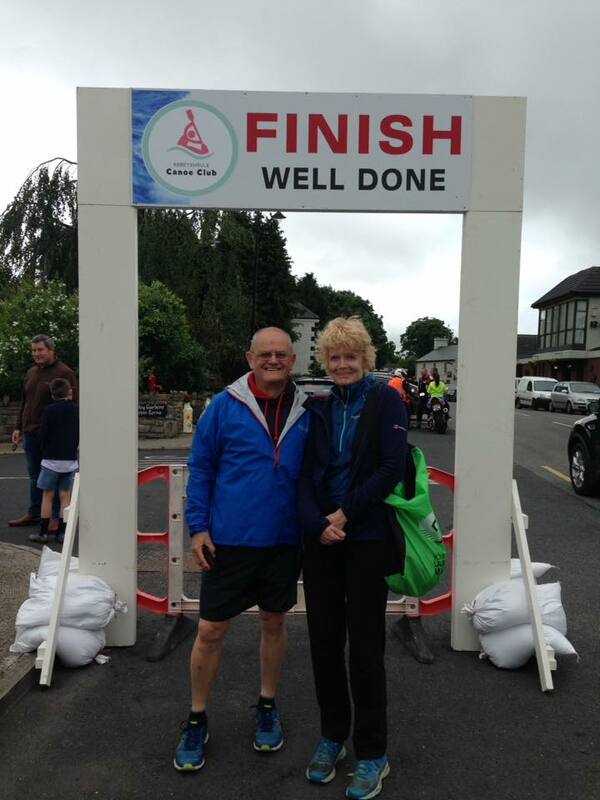 Meanwhile over in Ireland, Kevin and Judith Sanders took on the Castlebar vodaphone 5k in County Mayo. Judith ran a flying 25:21, just ahead of Kevin in 25:37. On the Saturday both enjoyed the Sligo Parkrun, resulting in 3rd lady placing for Judith and 17th for Kev, before taking part in the Abbeyshrule 10/5k the next day. Judith had another great run to finish in 52:52 and 7th lady in the 10k event, while Kevin ran the 5k in a time of 25:01 earning him 18th placing. 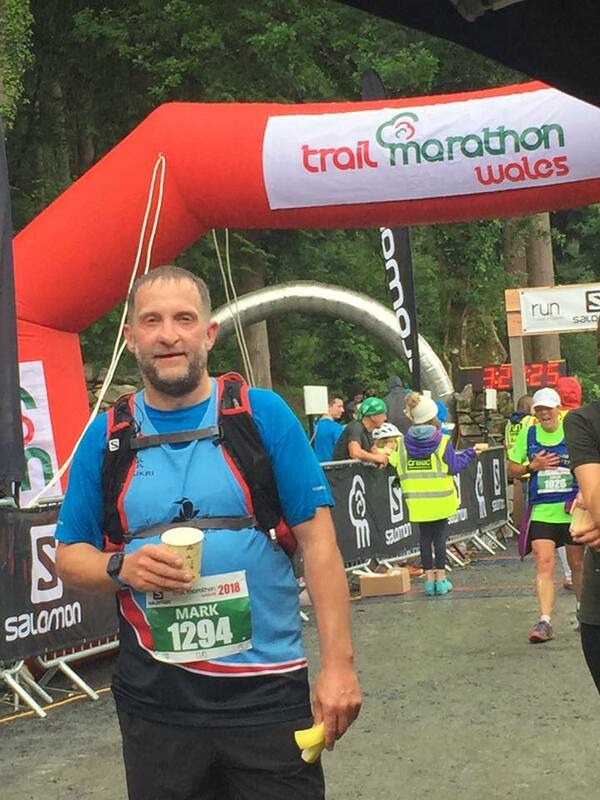 Finally, Mark Hoult completed the Salomon Trail half marathon at the Coed y brenin forest within the Snowdonia national park. In tough, wet conditions, and after injury hampered training he still managed an impressive 2:25.